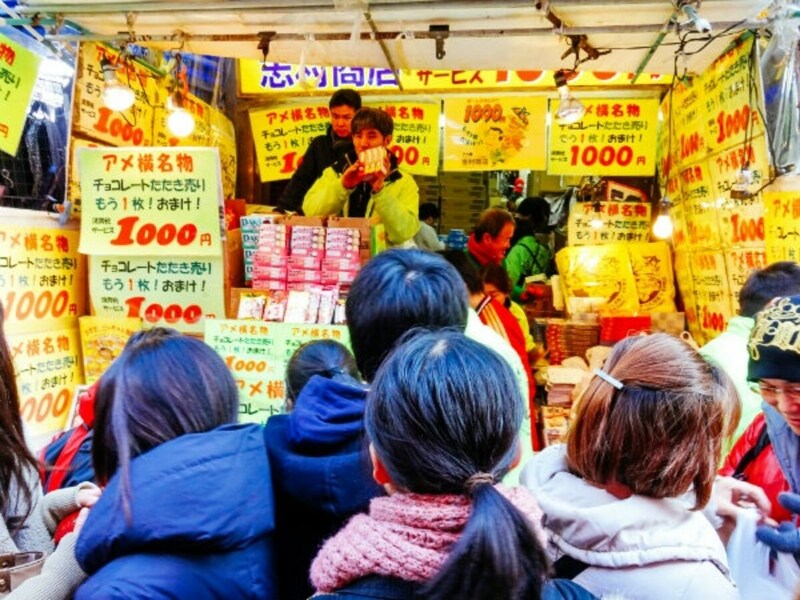 For most Japanese families, the real holiday spirit is felt during the time around New Years. In fact, New Year's is probably to Japan what Christmas is to America and other Western countries. With that being said, even if you don't have a Japanese family to enjoy New Year's with, you can still participate in these seven festivities. New Year's could perhaps be considered the Black Friday of Japan. It’s definitely the cheapest time to shop of the whole year, with most stores marking goods down by 50 percent or more! With bargains like that, you'll definitely want to hit the shops to stock up on new clothes for the New Year! Available for purchase starting January 1 at almost any kind of store, a fukubukuro is a grab bag filled with random products left unsold from the previous year and sold at a fixed price—usually ¥3,000, ¥5,000 and ¥10,000—depending on the size and quality of the contents. The items themselves are heavily discounted, usually at 50 percent or more off the list price. Recently, some clothing stores have been known to stuff ¥100,000 worth of merchandise in some of their ¥10,000 grab bags. Like Black Friday in America, many Japanese people line up outside the most popular stores hours before they open to grab a fukubukuro before they run out. If you don’t mind taking a little risk for big savings, why not try joining their ranks? Men and women dressed in traditional kimono, people carrying lucky talismans with them on the way to the shrine for hatsumode: there’s just something about walking around town on New Year's Day that puts you in a special mood that you probably can’t feel anywhere else other than Japan! 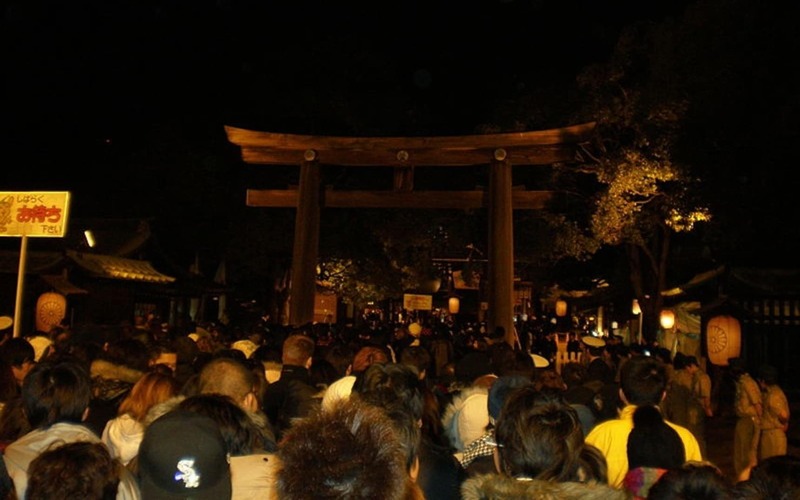 It’s customary for most Japanese people to head out into the cold weather on January 1 and visit their local shrine to pray for health, happiness and good fortune in the year to come. Accordingly, any shrine you visit that day is likely to be filled with locals walking about lightheartedly. On the shrine grounds, business owners set up small shops to sell food or talismans, and shrine staff pass out cups of warm, sweet sake to visitors. It’s like a New Year's festival! Many people leave the city once their winter holiday starts in December to return to their hometowns. Accordingly, the bustling city of Tokyo always seems to bustle a little less during New Year's. The always-crowded weekday trains have plenty of room to sit, and even some of the most luxurious of hotels cut room prices to try and increase demand. Cities across Japan participate in this international tradition in a number of ways. In Tokyo, many people fix their eyes on a large electric bulletin board at Tokyo Tower as the numerical year changes. Japanese people eat a special noodle dish called toshikoshi soba on New Year's Eve. The reasoning behind this is that, like the long and thin soba noodles, we hope to live a long and healthy (thin) life. It might be interesting to visit a soba shop on the 31st to try toshikoshi soba for yourself, but be warned: New Years' Eve is usually the busiest day of the year! The real feast, however, is with osechi, a collection of traditional Japanese New Year's food arranged in a special, three-tiered box. While osechi isn’t something you can eat at a restaurant, you could always buy it ready-made—just make sure you have enough people to help you take it down, as it is a lot of food.